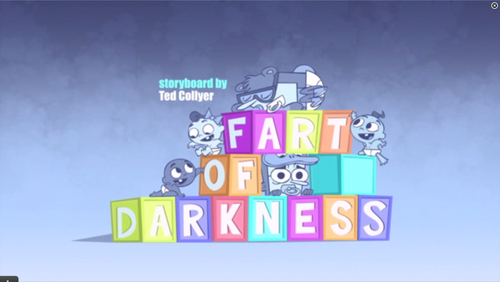 Sidekick: "Fart of Darkness". . HD Wallpaper and background images in the Cartoon Network's Sidekick club tagged: cartoon network cartoons photo sidekick nickelodeon title card. This Cartoon Network's Sidekick photo might contain 多工 and 多路复用.